Corrosion isn't just a matter of ugly rust spots and blemishes, it also costs the trucking industry money in terms of maintenance and safety-related expenses. Here's how the transportation industry is responding to the problem. According to Seth Skydel, writing for Fleet Equipment, truck and trailer manufacturers' efforts to fight vehicle corrosion are ongoing. At Great Dane, for example, they replaced corrosive metals with non-corrosive composites and used coatings on metal components. From purposeful design to individual inspection, the trucking industry is fighting corrosion in a variety of ways. Great Dane V.P. of engineering Chris Lee, quoted in Fleet Equipment, said their trailers' EnduroGuard rear frames employ stainless and galvaneal carbon steel. Great Dane also applies its proprietary CorroGuard thermoplastic coating over carbon steel to enhance corrosion resistance, and is currently researching other coating systems such as zinc-rich epoxy primers and one-part waterborne coatings. In addition, for its refrigerated trailers, Great Dane developed a glass-reinforced, thermoplastic liner material with a metal barrier that it calls ThermoGuard. This effectively seals the trailer insulation, reducing moisture intrusion during outgassing. Another manufacturer, Hyundai Translead, is using hot dip galvanization on all steel components and critical parts. The hot dip process forms a bond six times greater than zinc-rich paint, according to Jong Seog Lee, vice president of research and development. They're also incorporating "purposeful design" in innovations like substituting adhesive technologies or other alternatives for traditional fasteners. Larry Adkins, senior manager of commercial trailer products at Wabash National, said their company's approach utilizes bonding technology to create watertight connections, eliminating the need for metal fasteners that create snag points. "Used in nose, roof, sidewall and component applications," Adkins explained, "Our bonding technology maintains structural integrity and is less susceptible to water ingress than traditional rivets." Vehicle inspection: another angle for fighting corrosion. 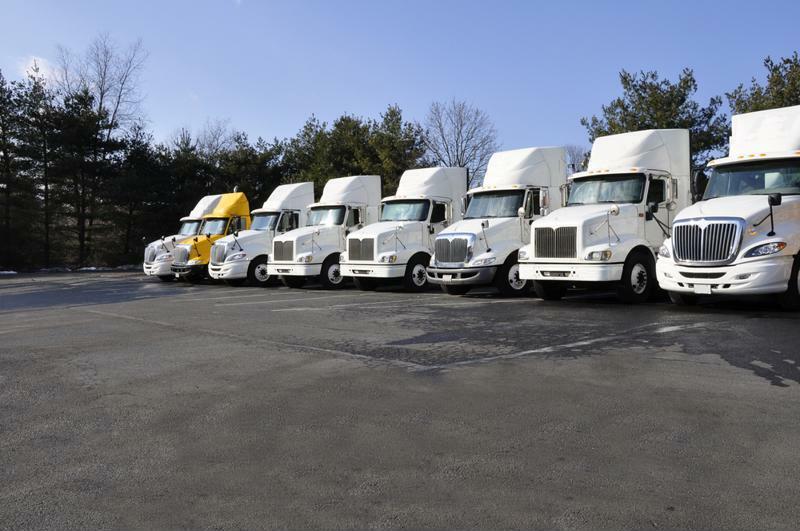 Tom Berg, writing for HDT Truckinginfo, pointed out that the problem of corrosion for vehicles in general and commercial trucks, in particular, costs "many billions of dollars annually." Since corrosion is best caught early, before the damage becomes more extensive, Berg recommended greater vigilance through individual vehicle inspection. "Drivers should eyeball the lower areas of their vehicles, where salt spray is most intense, whenever they do pre-trip and post-trip inspections," Berg wrote. "Mechanics should check the areas around the parts they're working on, and perform careful periodic inspections according to company policy. The required annual inspection is one obvious time, but corrosion inspection should be done more often for vehicles that operate in cold climes where road salts are commonly used." Berg added this advice from the Technology and Maintenance Council (TMC) of the American Trucking Associations: "[The] ideal time to find corrosion damage is during the preventive maintenance inspection, when a technician uses a checklist to go over the vehicle." Corrosion isn't always a brown 'rust color' that appears on steel, Berg explained. It can appear to be similar in color to non-ferrous metal that oxidation has formed on, or even somewhat darker. The other form that corrosion may take is a bulging or swelling marring the uniform appearance of the metal. Most critical of all, corrosion can weaken metals and metal-based components, causing the parts to come loose from where they're attached, and the vehicle to generally begin coming apart. That's where corrosion can take a costly – and even deadly – toll on vehicles.